1. 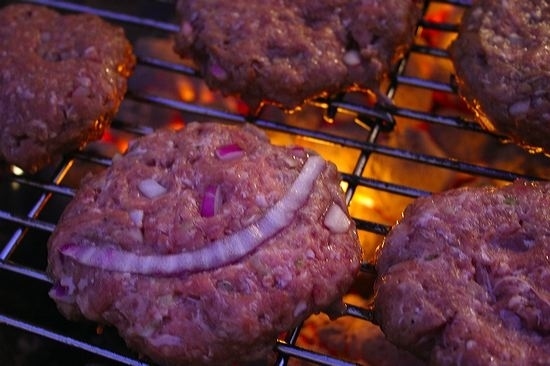 Follow three simple rules to make your burgers happy. 1. 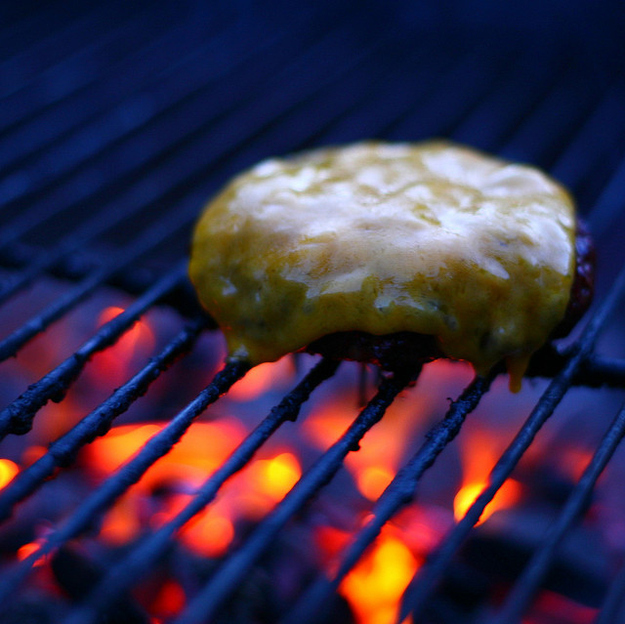 Flip burgers only once and don’t use a spatula to flatten them out while they’re cooking. Handling the meat too much will make it tough and dry. 2. Push an indent into the middle of the raw beef patty. Burgers will bulge in the middle while they cook and this will help keep the thickness even. 3. Don’t cook your burgers directly over the flame. Keeping the meat in direct contact with the flame will result in a charred, acrid flavor. 2. Find out what’s really going on inside your chicken. 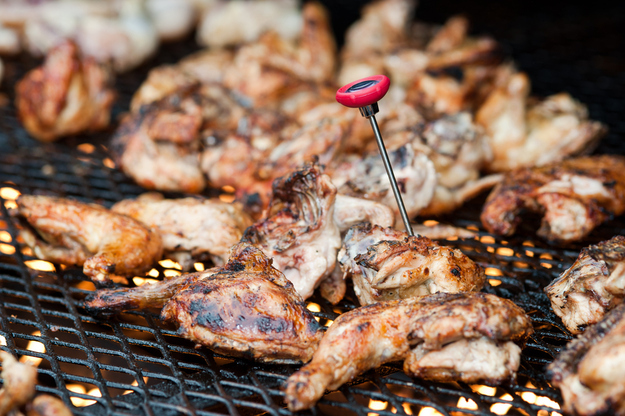 Chicken is one of the trickier foods to grill because it’s so easy to undercook it or overcook it. Also, don’t hack your chicken to pieces to check if it’s done — instead, invest in a meat thermometer. The center temperature should reach between 170 and 180 degrees before it is considered safe to eat. 3. Olive oil is like a security blanket for your steak. Add a light coat of olive oil to your steaks to minimize flare ups when you toss them on the grill. 4. So sweet, yet so dangerous. Apply sweet sauces as the very last step. Sugary sauces will burn over high heat, so apply BBQ sauces or glazes within the last minute of cooking. 5. Rare poultry = Bad bad bad. Turkey burgers take a lot longer to cook than hamburgers. 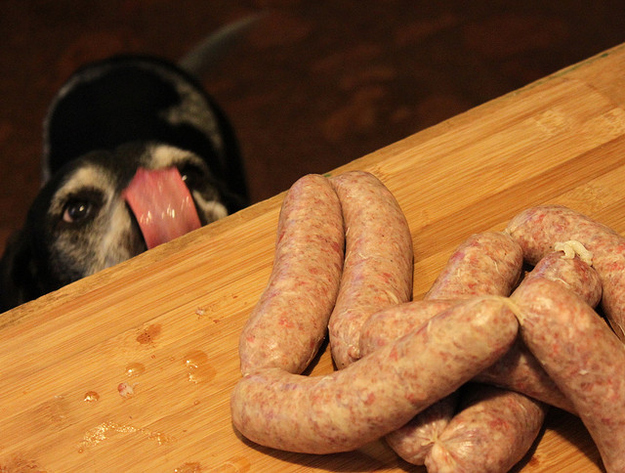 They require at least four to six minutes per side until they are cooked all the way through. 6. Unless you love the taste of smoke, keep the lid open for most grilling. Closing the lid should be reserved for grilling foods slowly over indirect heat. Closing it at high temperatures while cooking steaks or chicken breasts will create thick smoke that will diminish the taste of your dish. 7. Avoid a crazy roller coaster of temperatures – consistency is key. 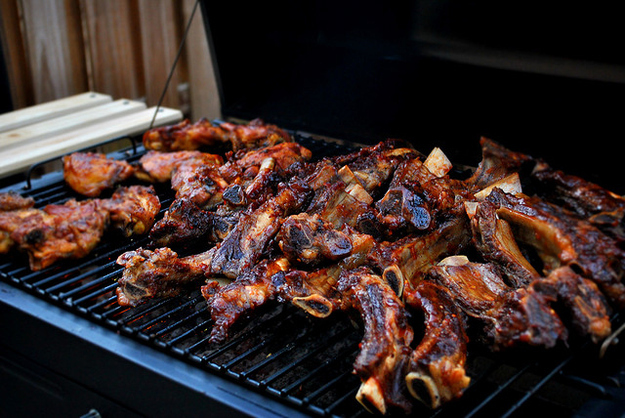 As a general rule, allow about 10 minutes for a gas grill to heat up and about 30 to 40 minutes for charcoal. 8. Don’t stab your brats to death. And keep your dog away from the table! Every time you stab your sausage to flip it over (or cut into it to see if it’s done), you’re releasing flavorful juices. Use tongs to flip your dogs and a meat thermometer to test the internal temperature (160 to 170 degrees). But if you insist on stabbing your sausages, invest in a BBQ sword. 9. Dry wood burns… Obviously. 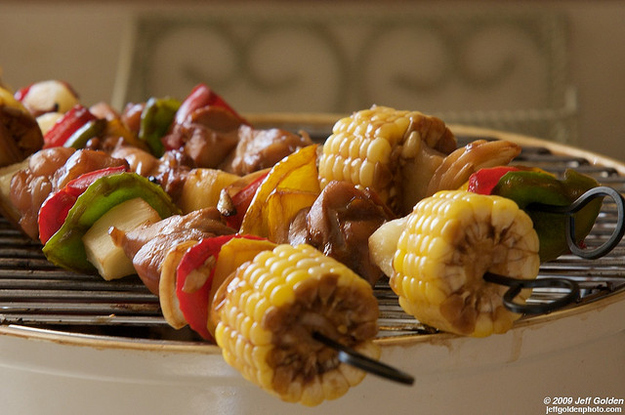 Use metal skewers or soak your wooden skewers in water for at least an hour before you place them on the grill. Dry wood will burn right away and affect the flavor of the food. 10. Think about the cooking times needed for everything you stick on a kebob. 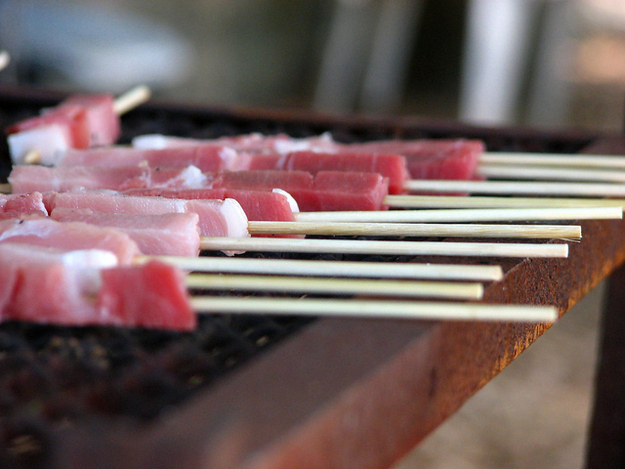 If you’re grilling things that require different cooking heats and times, use seperate skewers for each item. And don’t overcook your meat! Thinly cut pieces of meat will cook quickly and continue to cook after you remove them from the heat.